Please visit our office at the address above. “Everyone who comes in contact with our organisation must be more successful for that interaction. We are committed to helping people achieve their dreams and goals. This starts with the success of our team. Companies don’t succeed, people do and that is why we focus on the success of each and every member of the Harcourts Solutions Team. I like to think we’ve tipped the corporate triangle on its head, putting our team members at the top, our leadership group in the middle and myself at the bottom. This reminds me every day that I am here in service to the people that choose to work with me; it’s an honour that they make that choice every day.” Martin Millard Passion, energy and discipline are the characteristics that continue to define the growth of the Harcourts Solutions Group and words that capture the essence of Martin Millard, Founder and Managing Director. Having grown the business into one of Harcourts most successful franchises with a focus on team support, training and mentorship, Martin’s philosophy of working for and with his staff as opposed to the more traditional method is proving a winning formula as the team continues to excel and as a result sharing great success with their clients. Proud father of Emily, Felicity, Olivia and Patrick and devoted husband to wife Sally, Martin is a benchmark in balancing a busy workplace and an even busier home and sporting life. Martin’s external interests are varied from being an avid reader, oenophile and complete sport addict particularly for Arsenal and Brisbane City Football Club. When he can’t be found at work, taxiing the kids or watching the football he will be out riding with his mates from The University of Queensland Cycling Club discussing the Kids, Real Estate, Wine and Football. Having worked on the North side of Brisbane, covering Albany Creek, Bridgeman Downs, Chermside West, Carseldine, Grange, Kedron, McDowall, Stafford. Stafford Heights, Windsor and Wilston for over 15 years, Bron has not only an intricate knowledge of the area and its changing market dynamics, but also an extensive and loyal client database. Her clients appreciate her optimistic outlook, while nonetheless being able to provide a professional, empathetic and trustworthy service for them. Great market knowledge and expertise has enabled Bron to successfully navigate the peaks and troughs of the local changing market. Supported by Harcourts’ superior technology and management systems, this combination perfectly equips her to continue to provide an unprecedented level of service, innovative marketing, and sensational results to her clients Armed with a strong belief that the best results come when you genuinely care about the outcome for the client, she has built a reputation based on an exceptional communicator and negotiator, due to her wealth of experience in customer service creating “clients for life”, Bron’s clients also come to her as referrals from her satisfied clients, this is a true testament to her diligent approach. She works tirelessly to deliver premium service with the undivided attention they deserve and a range of marketing techniques that achieve great results consistently superseding their expectations. Bronwyn has won a number of Harcourts awards within the office as well as regionally. At Harcourts Solutions we support the Harcourts Foundation who donates generous funds to the local charities and needy individuals as well as local business. 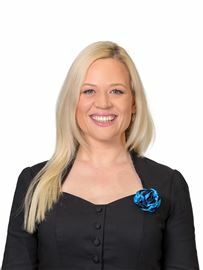 For a truly dedicated and caring real estate professional, Bronwyn should be your first choice. An Enoggera resident for many years and a small family with 2 children of their own and 1 foster child, Chris was excited to join Harcourts as she knew this high profile company was well regarded. "Property has always been a great passion for me. My father started showing me commercial & residential properties from a very young age and encouraged me to buy my 1st house when I was just 20. This small taste of property ownership continued until I saw the house that is now our home in Hilda St, Enoggera. Communicating daily with her clients and providing up to date feedback is what sets her apart from the competitors. You can be assured that weekly written feedback reports with a comprehensive marketing plan and calendar are all just part of the positive attitude to achieve the best results for the client. Make no mistake choosing the right realtor does make a difference, so choose a local, choose an expert, choose Chris. 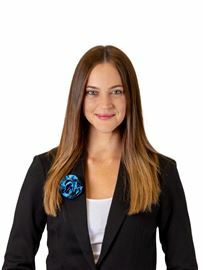 Christine McKay is a Sales Consultant with the highly successful Harcourts Solutions office. She has sold over $135 million worth of property in the last few years. Christine has a very sound knowledge of the real estate market with specialist real estate training at REIQ and on going training at the Harcourt’s Academy, Christine’s reputation for enthusiasm, integrity, understanding and dedication amongst her colleagues and clients certainly gives her the edge. Christine originally trained as an Interior Designer and had her own business for over 25 years. Her background knowledge enables her to see and identify the potential in properties being purchased and is able to assist in displaying your property to achieve the best. Appreciating that all clients have their own individual needs and ambitions when selling their homes, Christine draws on her Interior Designer and marketing background in a high-service industry to develop a strong custom-fit campaign for every property Christine believes that the sale of your home for a premium price is her top priority; she understands the stress involved with selling your most valued possession and tries to alleviate that stress with her caring nature. Christine believes and is committed to giving honest appraisals, believes in a strong marketing program, believes in exposing your home to as many potential buyers as possible, to achieve the ultimate result for you. Clients who are considering buying or selling real estate in the area can look forward to unparalleled levels of service that have become synonymous with Christine and the Harcourt’s brand. After a more than decade in the sales industry, Courtney Vardanega has found her true passion in Real Estate. The most important values to Courtney are integrity, professionalism, hard work and success. Bringing with her to the Harcourt Solutions Group and the Rochelle Adgo team, is enthusiasm, the drive for success and the desire to exceed her client’s expectations. She was raised with traditional Queensland values and prides herself on sharing her integrity and empathy within the Real Estate Industry. Rochelle and Courtney will demonstrate a high level of professionalism that will surpass all your expectations of a traditional Real Estate Agent. Both Sellers and Buyers will find in Courtney an honest, untiring and respectful agent who will guide them through the campaign, providing them the energy to see them through what can be one of the most stressful times for both parties. Born and raised in Brisbane, Courtney has excellent and invaluable knowledge of the local market. Being part of an Elite team, Courtney would love to share that knowledge and experience with you. Drew Crump’s integrity, energy and commitment to quality service will be apparent in every aspect of your real estate experience with him. 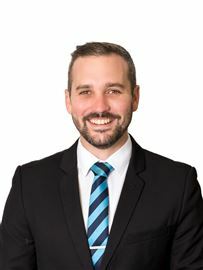 Growing up in the Hills district, attending Ferny Hills State School, playing with the Arana Hills Rugby League Football club and now living in the area with his family, Drew’s knowledge and love of the area is unsurpassed. 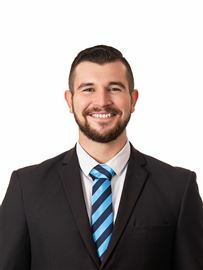 With 5 years’ experience in the industry, Drew upholds an authentic work ethic and true passion for real estate – values that are shared by the Harcourts Solutions Group. Drew prides himself on always doing the right thing by his client and maintaining the highest of ethical standards when selling a home. 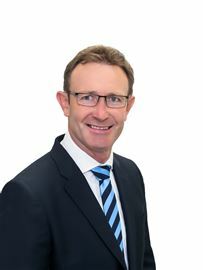 Glenn Mullaly, Real Estate Sales Consultant of Harcourts, Ferny Hills/Keperra, likes nothing more than turning peoples dreams into reality. Glenn’s a happily married father of five children and a proud grandfather of seven grandchildren. He’s obviously a man unafraid of a challenge. Prior to real estate, Glenn served in the Royal Australian Navy for 11 years as a leading seaman based in Western Australia and Victoria. Relocating to Brisbane in 1996, Glenn took a temporary job as groundsman at Ashgrove State School until his yearnings for the ocean called again. For four years he worked on the vehicle ferries to North Stradbroke Island from Redland Bay and assisted the company in winning the Tourism award for being the best fast ferry service in Morten Bay, hugely due to the exemplary customer service provided. With the varied roads taken in Glenn’s working life, he has gained a realistic understanding of what people “really” need…by taking the honest approach and being down to earth. Glenn prides himself on his customer service and attention to detail, as well as treating people how he’d like to be treated himself. These skills have been invaluable in the real estate business. You’ll find Glenn, an honest, sincere and dedicated person to help you make your next move a successful one. Kathy is very excited to be a part of a truly rewarding industry. With over 30 years’ experience in customer/client relations, Kathy provides a high level of empathy, understanding and care. Her warm and friendly manner makes her very approachable. She places importance on open and honest communication in a relaxed and professional manner with people from all walks of life. Kathy is backed by Harcourts cutting edge systems, training, technology and international marketing exposure. Harcourts Solutions is also a donor to the Harcourts Foundation, a benevolent organisation that assists local charities and causes. Kathy’s sense of humour is appreciated during stressful periods but she always maintains her hardworking, honest and diligent attitude while gently guiding her valued clients through property transactions. Kathy views her job as a facilitator, marketer and a negotiator. She will expertly mange your planning, listing and settlement process to provide smooth transactions and coordinate all marketing strategies and activities to provide the most effective exposure for your property. Kathy lives in the local area and is passionate about supporting local businesses, charities and giving back to her neighbourhood. Helping people achieve their goals is very important and Kathy’s enthusiasm and positive energy will enable her clients to happily get to where they want to be. Kathy’s aim is to create clients for life with every person she transacts with and her high level of service will ultimately lead to a successful and satisfying real estate experience. Katrina Gibbons has combined her skills as a Professional Real Estate Agent and a Property Stylist, thus creating a point of difference and leading edge that sellers will benefit from. With Katrina’s passion for property, she utilises her interior design skills and ability to understand her clients’ needs and aspirations. Making your home desirable and appealing to the highest number of buyers while allowing you to feel comfortable and confident when selling your home is Katrina’s priority. While conducting her business with a high level or service, Katrina maintains a warm personal rapport with clients and colleagues alike. Clients will benefit from Katrina’s dedication, commitment, organisational and negotiation skills. Being conscientious to her clients needs, she appreciates that each transaction is different and can be quite personal. Katrina understands that communication is a key element to any successful relationship and with her professionalism, ethics and creativity, Katrina will provide you with superior service when selling your home. I strongly believe that a Real-Estate Agent needs to be competent and skilled to engage in an environment where people are likely to be stressed, anxious, uncertain and overwhelmed. It is our role to act in an emotionally intelligent manner to reduce and remove those negative emotions and replace them with confidence, trust and reliability. Using the knowledge gained from my degree in psychological science, real-life experiences from a number of years in sales and having worked on over 100 settled residential property sales, I can confidently say that I am equipped with the knowledge, resources and skills to professionally manage any situation of a sales campaign from start to finish. There are likely people that have a perception of Real-Estate Agents to not be genuine or honest, and consistently over promise and under-deliver. I am passionate and excited to have an opportunity to change that perception and develop long lasting relationships with members of my community. With Brisbane’s biggest Harcourts franchise as my team I am determined to add value to everyone I cross paths with. If you are open to refreshing your views on real-estate agents or if there is ever anything I can help with, please feel free to call or email me anytime for advice. With a welcoming and approachable style, Mark takes great pride in offering the best possible service to his clients. Mark is a strong communicator and an even better listener; he uses this skill to develop an in-depth understanding of his client’s needs from their agent. He isn’t here to simply tell you how to sell using a “paint-by-numbers” model; he concentrates on developing a selling experience customised to your journey. His strength lies in his knowledge and love of the North side of Brisbane in which he was born and bred. In his eyes real estate is serious business and he treats every transaction like he was selling his own home. 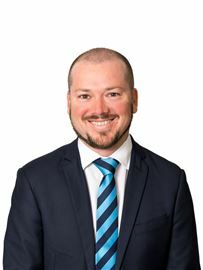 He has chosen to work with Harcourts Solutions as he believes their values and successes make them the best team in Brisbane and together they provide exceptional results every time. 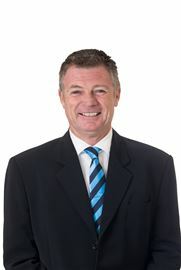 Prior to Real Estate, Mark has owned and run several successful businesses including a motorcycle dealership and a tool & equipment business selling to a diverse range of clientele from young apprentice's at the automotive dealership to global giants such as Qantas, Virgin, Australian Defence Force and Boeing. Sales like that take extraordinary preparation, research and product knowledge and even with all of that, he always understood the most information part of the sale took good old fashioned customer service and great listening skills. When home owners are choosing an agent they are, unfortunately, often “offered the World” but then only delivered an Atlas, however when working with Mark, whether selling or buying, his clients can't speak highly enough of the outstanding service and personal touch he brings to the experience. He strives to exceed client expectations and just loves transforming people's lives through exceptional work ethic and high moral standards. Michael is an experienced agent with almost 30 years in the real estate industry. Michael began his real estate career in 1986 as an ambitious young sales person. His ambition got him places fast and within a short time was a leading salesperson in Kenmore. Michael used the opportunity of working closely with experienced salespeople to solidify his attention to customer service, his sales and negotiation skills, and gain experience in all aspects of real estate including becoming a Licensed Auctioneer. Michael then took the plunge, setting up and becoming principal of a new real estate office in Bellbowrie in 1990. In 1995, after successful years in Bellbowrie, Michael sold and traded up to Ray White Everton Park. 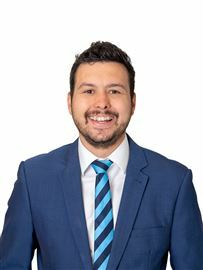 In 2014 the business merged with Harcourts Solutions and Michael relinquished his management role to be able to focus on his passion and work solely as a salesperson and is enjoying a high level of return business from a loyal customer base. With Michael’s honesty, quality of service and dedication combined with a career long commitment to learn and change, ‘experience really does make a difference’. Nicki Bygraves joined the Harcourts team over 9 years ago after she could no longer deny the lure of Real Estate. Once established as an agent, she allowed her strengths of determination, honesty, attention to detail and outright passion for the property market to come to the fore. Nicki’s focus is on ensuring that her clients are happy and that she achieves the best possible results for them. With the full support of the men in her life (her husband and 2 sons) Nicki has found the balance in being a working mum. Raising a family and pursuing a career in real estate would account for her exceptional organisational skills and multi tasking capabilities. Nicki has a wealth of experience in the Real Estate Industry and over 85 million in sales to her credit. Her professionalism, caring approach and desire to exceed her clients expectations is paramount to her success. Rochelle Adgo’s rise to be one of the top agents in her area has been a fast one. She has built her business off the back of hard work, drive, and a concentration on over delivering for her clients both in service and results. Rochelle is thoroughly enthusiastic about providing Brisbane’s North West residents with an agent that knows the communication requirements of a vendor and has a fantastic knowledge of making your home marketable and desired. Priding herself on her organisation and attentiveness, Rochelle knows the importance of attention to detail and is committed to achieving the absolute best results for her clients. A previous small business owner and experience in business management and finance Rochelle has an unrivalled passion for property and interior design. She has acted as both the vendor and buyer in multiple property transactions and has a true appreciation of the most important and emotion inducing factors for all parties. 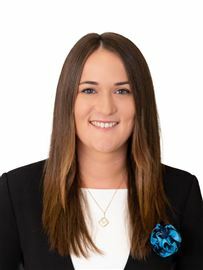 Settling in the popular suburb of Mitchelton with her husband and two children, Rochelle has immersed herself in the local community and is excited to provide her signature exemplary customer service. A vibrant and infectious personality, backed with incredible motivation and enthusiasm accurately describes Rochelle. Rochelle epitomises brilliant customer service that is second to none and a genuine nature that will only serve her clients best interests. For a fresh approach in the sale of your home, contact Rochelle Adgo today! Spending his childhood growing up on the family farm, Scott’s father taught him from an early age that self praise is no recommendation. Here is what some of Scott’s clients say about him; “Scott is creative in looking for solutions to common and unique problems, he doesn’t hesitate at a challenge. When Scott said he would do something, it was done above and beyond my expectations.” P. James “Scott’s honesty, thoroughness and professionalism is the standard all agents should be judged by.” B. Bantick “Scott, your knowledge, diligence and honesty is what sets you apart. You are now my agent for life.” B. Orr “Scott is fantastic in stressful situations. He has clarity and is able to guide us through the unknown. Support, knowledge and no B.S. thankyou” H. Fredrickson Having spent 7 years in the Military and 4 years as a Senior Project Manager, ensures Scott is focused on attention to detail and creating the outcome his clients need. There are over $100 Million reasons to trust Simon Whitehead for all your property moves. Nineteen years' experience and a bonafide Agent boasting licensee background, Simon has worked with, hired, trained and managed many personalities in this field and proven his style of care, support, integrity, communication, honesty and stamina beat out any paraphrased philosophy statements. In a world where money talks and timing is everything, you need Simon Whitehead in your corner. As a proud dad of four bright, bubbly children he understands first-hand how precious your time is and will get you what you want, when you want, bringing qualified buyers on time and in time to minimise the chaos of preparation and inspections - the most stressful part of selling your home. It's a 24/7 service commitment you get & with two decades in the industry there isn't a local tradie that won't give him fantastic mates rates to guarantee top dollar for your biggest asset. For calm, diligent guidance and record-breaking numbers, Simon Whitehead has the right head for your real estate ambitions. Rental Management Solutions mission, is to provide the highest quality operating service, with unmatched value when maintaining and managing properties. Therefore ensuring that our owners get maximum investment returns. Open lines of communication enable us to build successful and lasting relationships with both our owners and tenants. The better the relationship with our tenants, the better potential financial returns for our owners. The old adage, “if you want something done - ask a busy person” applies to Sally Millard (nee Lovell). Being a mother of 4 and running a business certainly keeps Sally hopping. After completing a Bachelor of Business (Communications) with a Public Relations major, Sally continued her elite netball career and went on to hold the role of State Coaching Director for Netball Queensland. Meeting Martin and marrying him saw a new adventure begin in the local Tourism and Wine industry as they embarked on growing Martin’s resort, Happy Valley Vineyard Retreat and the establishment of the Stanthorpe Wine Company to iconic status in Queensland’s wine region, Stanthorpe. When the time came to move back to Brisbane, Martin was drawn to the real estate industry and Sally’s role in administration continued. 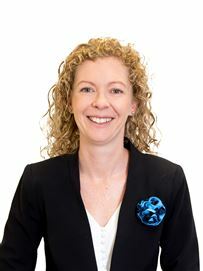 Sally teamed up with experienced Investment Specialist, Claire McGrath in the establishment of Harcourts Rental Management Solutions in 2010. As the Business Owners working in the business daily, Sally and Claire together oversee all facets of the Property Management business. Harcourts Rental Management Solutions aims to create a unique property management environment which is committed to caring for their clients, suppliers and staff, ensuring maximum investment returns for Owners and a satisfying and challenging workplace and a superior service to all. Although Sally is based at 528 South Pine Rd EVERTON PARK QLD 4053. Sally is happy to meet clients in any of Harcourts Solutions locations including Mitchelton and Inner City. John Kerruish holds a Bachelors Degree in Engineering (Civil and Structural) and has more than 25 years experience in Property. He has now formed his own Property Development and Consulting Company K Properties (Qld) Pty Ltd and has teamed up with Harcourts Solutions at Mitchelton and Spring Hill to offer these franchises both his Project Management and Development Management expertise as well as undertaking residential development projects in partnership. Prior to this John recently worked with Investa as Project Director for one of the largest master planned Industrial Estates in South East Queensland, Swanbank Enterprise Park in Ipswich. He also has held positions of Industrial Development Manager with the Indigo Group, where he established a strong Industrial portfolio and six years as a Property Development Executive with the Port of Brisbane Corporation, during which time he developed much of the Port’s land and was also involved with the formation of the Australia TradeCoast Precinct. Mr Kerruish has an extensive track record the in SE Queensland property sector and a wealth of experience in both industrial and commercial developments along with prior Design, Construction Manager and Project Manager experience, including three years as Queensland Construction Manager for the Lend Lease Corporation. John recently vacated the Chair of the Property Council of Australia’s Industrial Committee, a position held for six years. Alfresco Living At Its Finest! The Ultimate in Modern Living! A Great Place To Get Started! Invest or Nest in Frasers Rd! Under Contract - Massive Land! Room For All The Family!